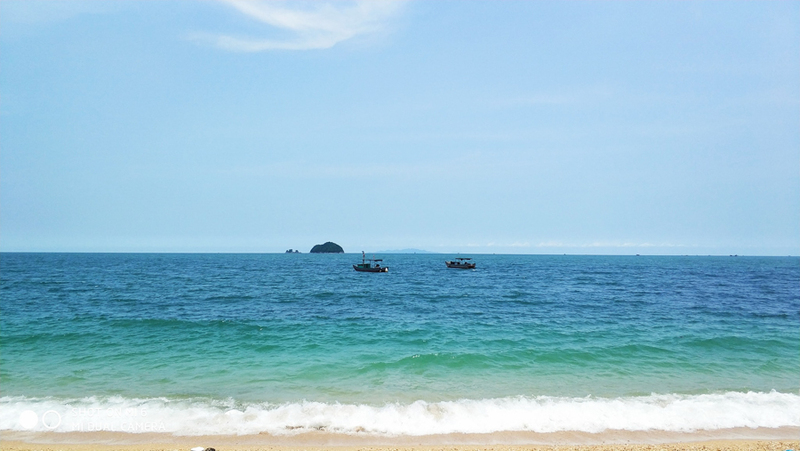 Quang Ninh province is famous for sea tourism. In addition to Ha Long Bay, Co To, Tra Co, Quan Lan ... then Cai Chien island has an island that makes anyone forget to return. Certainly, many people are still unfamiliar with the name "Cai Con Island". When it is a new island to be exploited and not many services, infrastructure ... . Cai Chien Island in Hai Ha District, Quang Ninh Province, 350km from Hanoi. There are many way you can go to Cai Chien island. Such as: ships, boats, ferries. But many people choose ferry for cheap and can bring motorcycles or cars to the island. Ferry cost includes 50,000 dong and motorbike is 300,000 dong. If you do not go with personal vehicles, only 20 thousand. It takes about 30 minutes to get to the island. If you take the motorbike from the ferry terminal to the guesthouse or beach will lose 20 thousand per person. You should book in advance about 2 to 3 weeks because there are not many hotel services on the island. Especially when you here is that the tens of thousands of miles to grow a place full of electricity, people and trees as in the land. When returning to the guesthouse and schedule your trip you should go to Dragon Head beach as this is the most beautiful beach on the island. 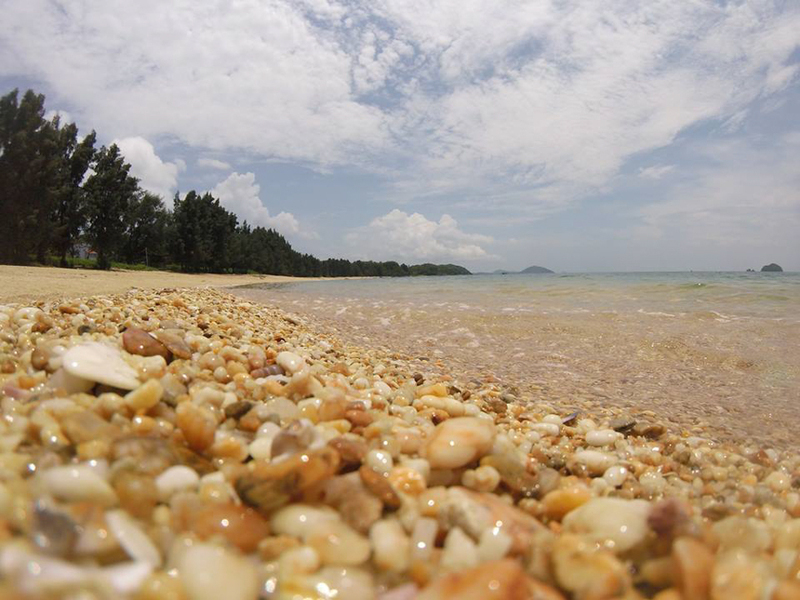 With a long white sand beach and soaring casuarina, so you have a feeling of gentle and peaceful. In particular, the sea is very green and beautiful. Even the rainy wind does not lose the blue of the sea here. If you go with the team, the wide and beautiful beach will make the activity more enjoyable and fun than ever. For those who like to experience or view the new scenery, can go to Cua Dai beach because there is a system of sea rocks combined with the mountain system above ... Your job is to bring the camera and check in, there will be lots of choices to get the nice pictures here. 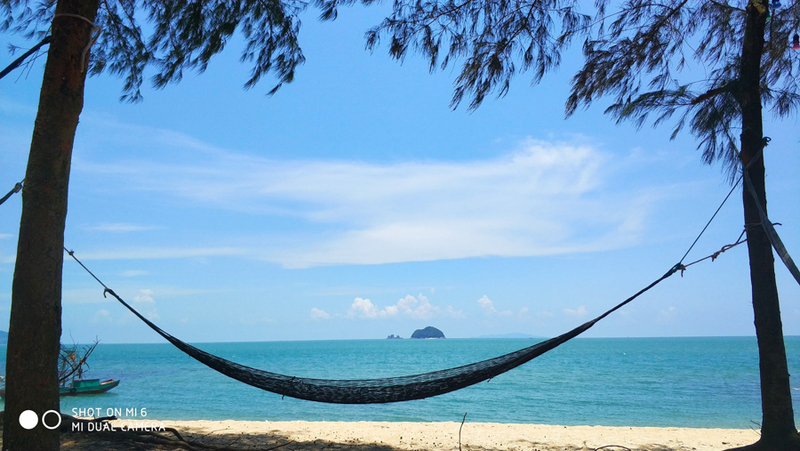 Cai Chien Island is the most peaceful and lyrical beach in Vietnam. It's great that you and your partner have an early morning sunrise on the island. Everything around is peaceful. There is only the sound of the waves, the casuarina of casuarina trees and the early sunshine that makes everything so joyful and warm. Let's hold hands and vaguely sing some love songs, look out to sea to welcome each train filled with shrimp and fish landing. Everything that makes us forget about all the chaos of everyday life. If you are a big fan of seafood then come to Cai Chien island is the right idea. All of the seafood here is directly caught on the sea and you are assured of freshness and safe food. However, because there is no high-end restaurant system, the dishes are processed simply by the people on the island. Even so, enjoying the sturdy Crab, Shrimp, Beef, Sea Oysters, Sea Sam ... fresh delicious is extremely wonderful. Especially, the price for a seafood here also very cheap. It's cost about 100. 000 VND per person.